The Asus VG248QE is a good 144 Hz LCD monitor with a 1080p resolution and a slew of gaming-oriented features. It has very low input lag, and its high refresh rate and low motion blur make for very fluid and responsive gaming. 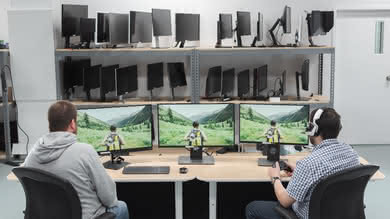 However, its very narrow viewing angle and ordinary picture quality make it less suitable in office environments or for those that watch a lot of movies in a dark room. 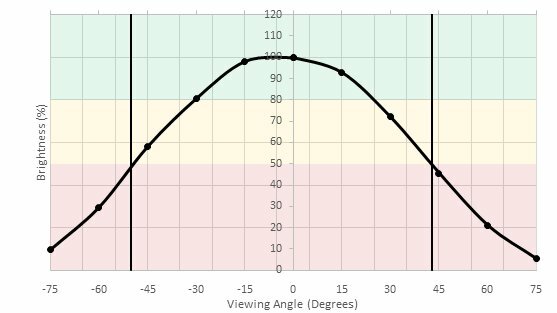 Update 10/23/2018: We have corrected a mistake in the vertical viewing angle score. 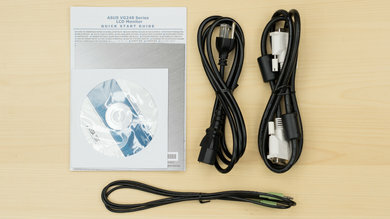 The design of the ASUS VG248QE is good. 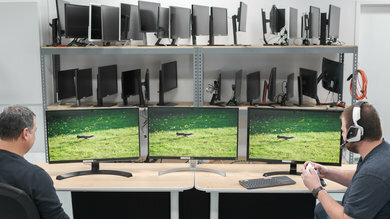 It has a central stand with a small footprint, which unlike most monitors, rotates as the monitor is turned. 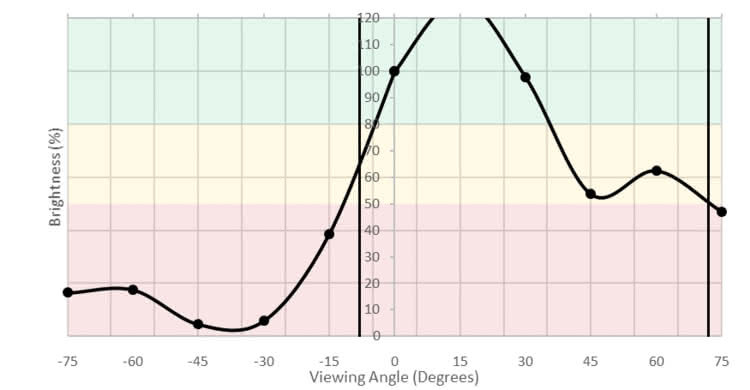 The height adjustment and rotation is also good for quickly finding a comfortable viewing arrangement. 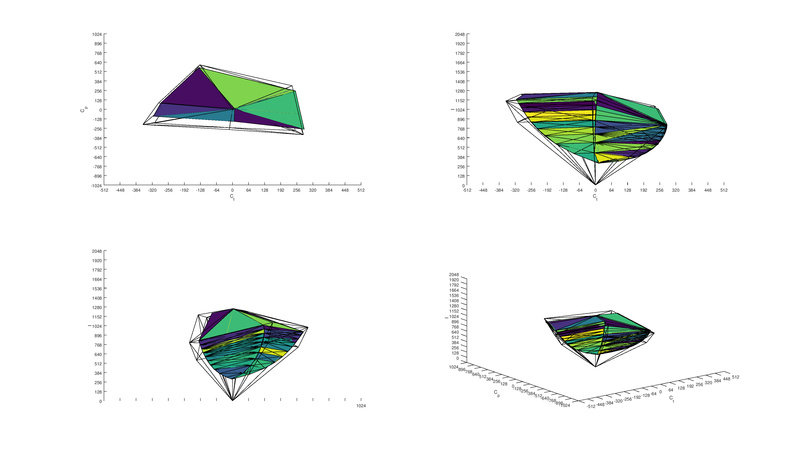 The borders are a bit thicker than most monitors, but still look fine. 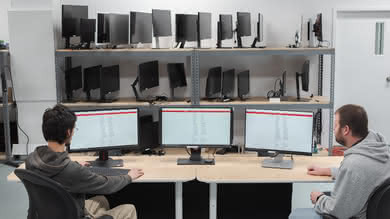 All of the inputs are directed out of the bottom of the monitor and easy to access. 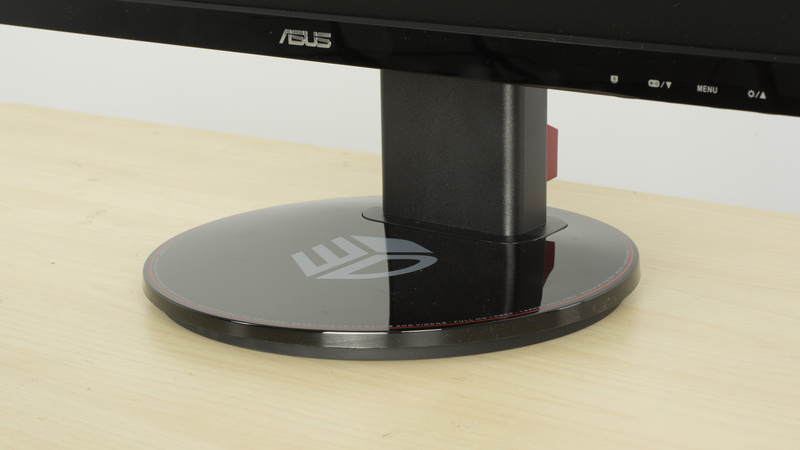 The stand of the Asus VG248QE has a small circular footprint and actually rotates with the monitor as it turns. It supports the monitor well and has a clip for cable management at the back of the stand. 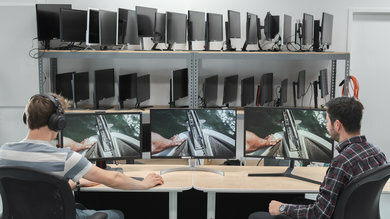 The ergonomics of this monitor are good, and it is easy to find a comfortable viewing position. 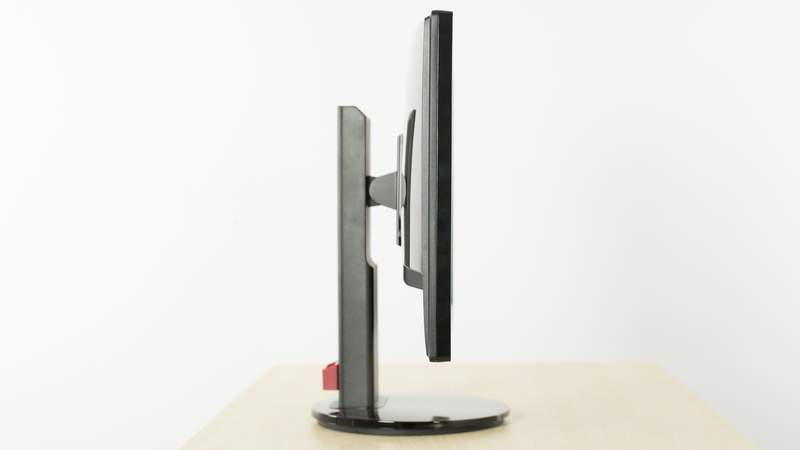 The stand allows the screen to pivot, tilt rotate with 4.3" of height adjustment. The rear of the monitor looks quite good, with a reflective plastic coating. Unfortunately, it readily picks up any fingerprints. The borders are quite thick and do pick up fingerprints easily due to their glossy plastic finish. The ASUS VG248QE has an average thickness when viewed from the side. The stand has quite a small footprint and can be placed close to a wall, which is good. To attach a VESA mount, remove the sticky plastic covers and unscrew the stand. The build quality of this monitor is decent. Everything feels quite well put together. However, the exterior is all glossy plastic and nothing really feels high-end. 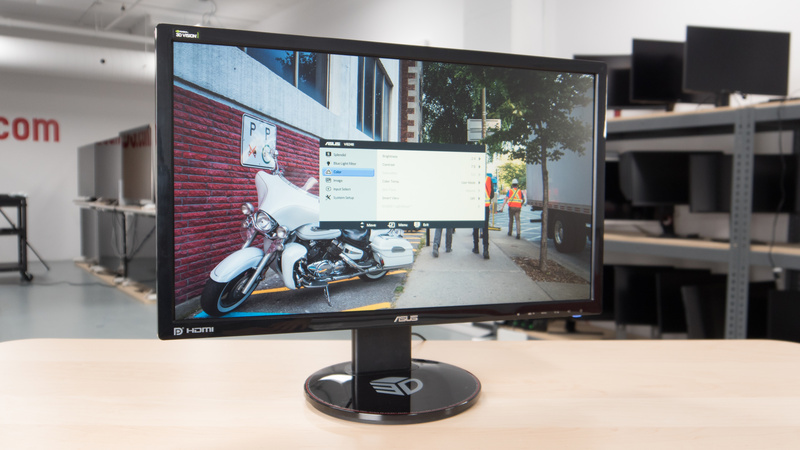 The ASUS VG248QE monitor has a decent picture quality. The low contrast ratio and disappointing black uniformity, mostly due to the TN panel used in this monitor, make for a poor darkroom experience as blacks look gray. When used in a brighter environment, like an office space or a living room, the VG248 fares much better due to the good SDR peak brightness, coupled with the decent screen finish means that picture quality is much better in those conditions. Both horizontal and vertical viewing angles are poor, and the image quality degrades especially quickly when viewed from the top. Finally, color accuracy is excellent on the VG248 but is limited to the sRGB standard and it does not support more advanced features like HDR. The ASUS VG248QE has a below average contrast ratio, and when set in a dark room blacks tend to look grayish, giving a washed out look to multimedia content with dark scenes. 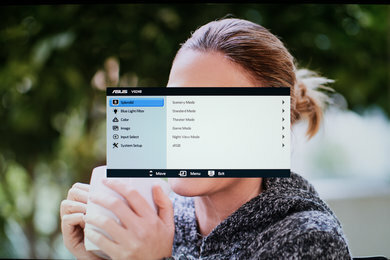 However this washed out look is less visible when the monitor is used in a well-lit room, as the ambient light of the room raises the perceivable black level of the monitor. Overall this contrast ratio is similar to other monitors also using a TN panel for their screen. 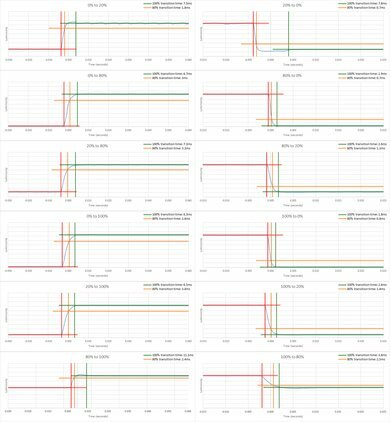 Update 12/19/2017: It was discovered that the monitor's contrast ratio decreases at higher refresh rates. 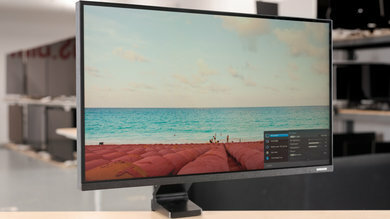 The contrast ratio at the monitor's native refresh rate of 144 Hz is lower than the 60 Hz contrast ratio that was initially measured, so the score has been updated with the 144 Hz measurements. 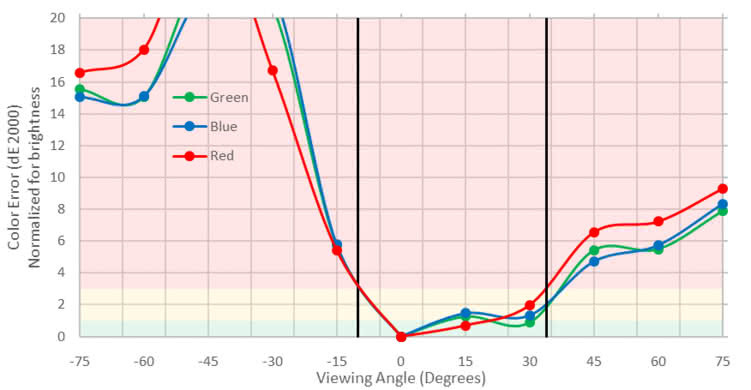 The 144 Hz contrast ratio is actually quite poor; even in a bright room the picture will look slightly washed out, and in a dim room it will be even more noticeable. It's unknown why the monitor does this, we've never seen another monitor or TV do this before.  This ASUS monitor does not have a local dimming feature. The video is for reference only. Very good overall brightness. 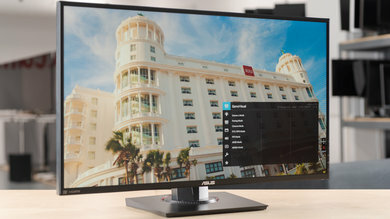 The Asus VG248QE gets quite bright across its entire screen, and it can maintain its brightness over a long period of time without any dimming. Poor horizontal viewing angle. While the Asus VG248QE maintains its brightness decently at an angle, its rapidly shifting colors render it less than adequate for sharing with people to the sides. Thanks to its smaller size, however, it is not extreme enough to be the cause of uniformity issues from a standard viewing position. The Asus VG248QE monitor has a bad vertical viewing angle. 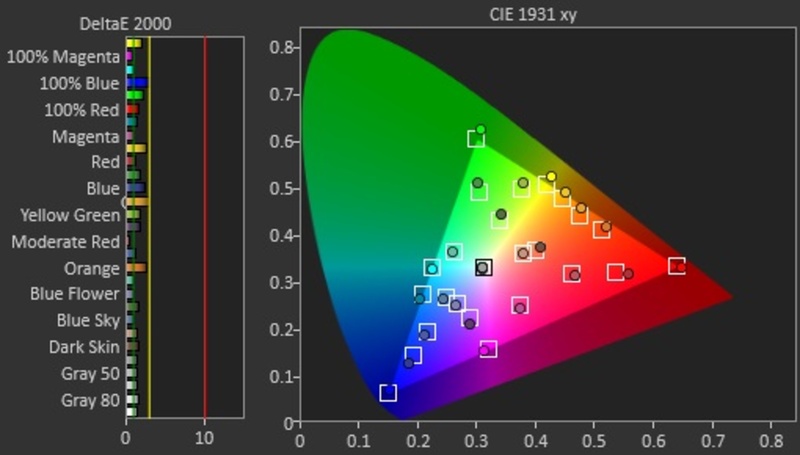 When looking up to the screen, colors shift to a negative tone and darken significantly. 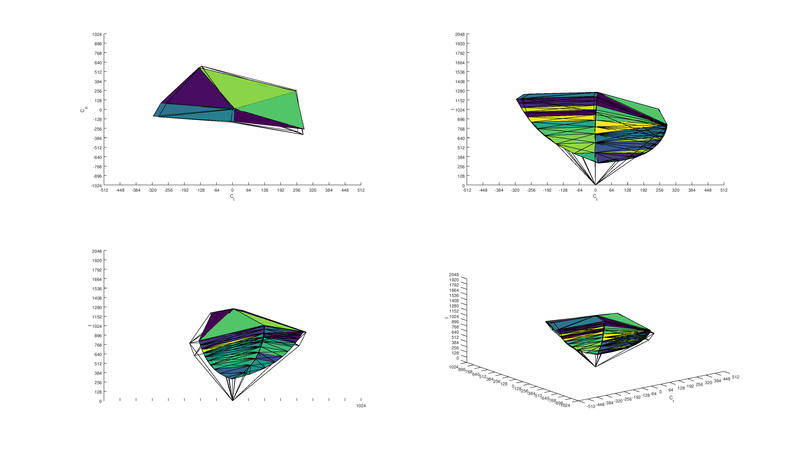 It is a little better from above, where colors are better maintained, but it does lose contrast significantly. When viewed directly in front, the poor vertical viewing angle can sometimes cause the bottom edge of the screen to have a very slight tinge. 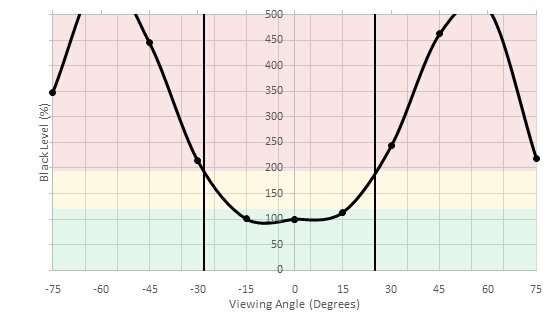 Update 10/23/2018: We have corrected a mistake in the vertical brightness chart that was negatively affecting the viewing angle score. 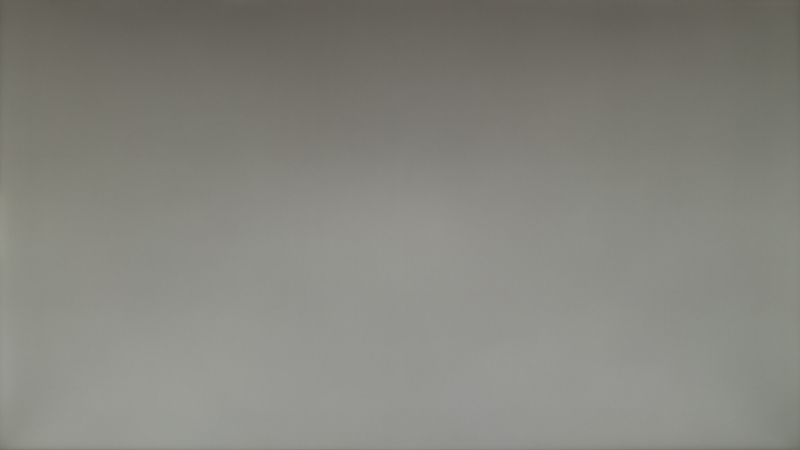 The gray uniformity of the Asus VG248QE is very good. 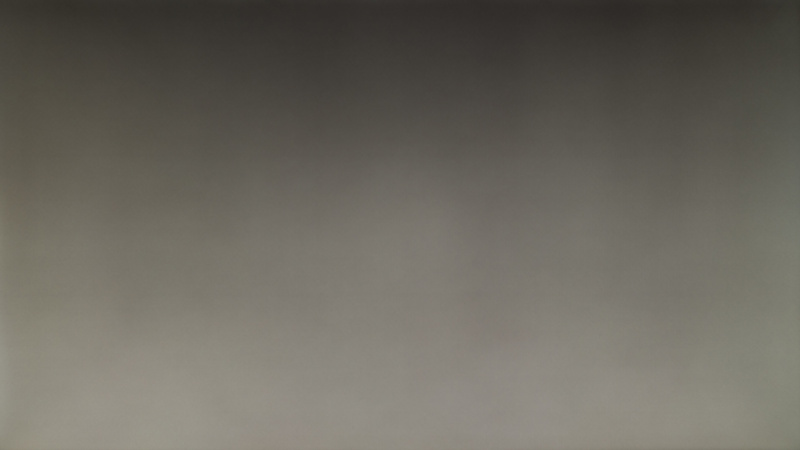 On the 50% gray test picture, the image appears uniform, so dark or bright areas shouldn't be an issue when watching content or scrolling web pages. 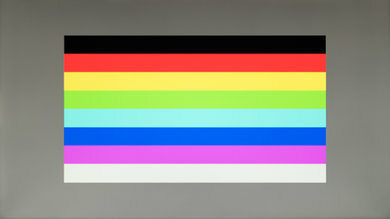 The top portion of the image is darker, but this is only due to the narrow viewing angle of the display (when viewed from above or below the colors shift).  Looking at the 5% gray uniformity test picture, no particular issues are visible. 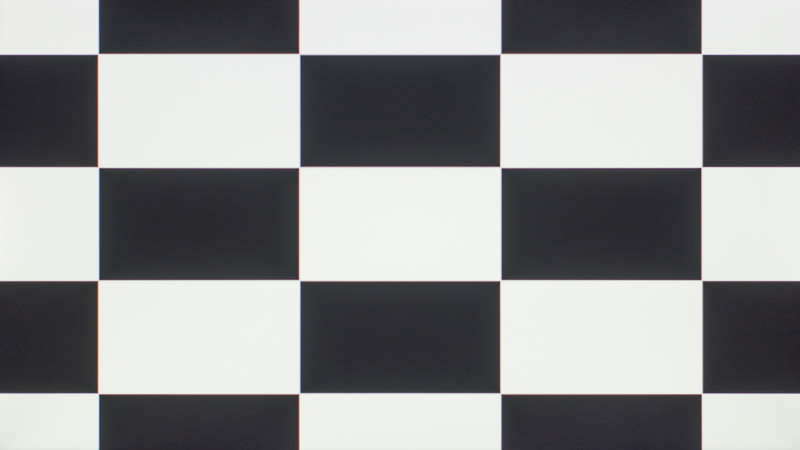 This means that when viewing dark scenes in a dark room, the image is uniform, which is good. 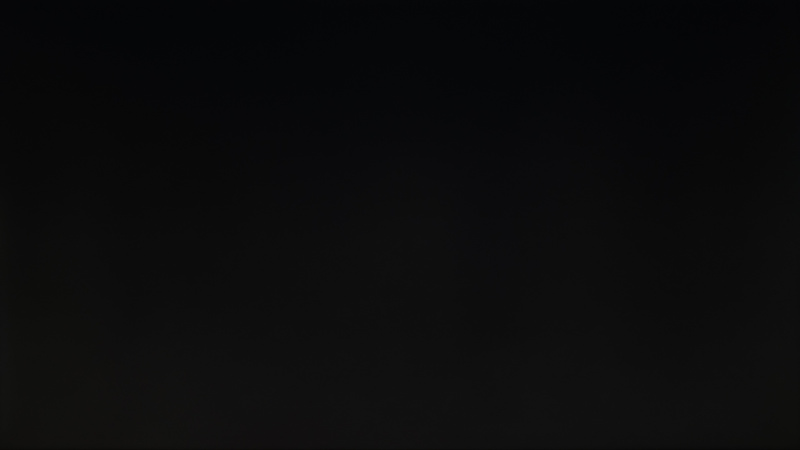 The black uniformity is disappointing on the Asus VG248QE. At 5.5 it is a bit inferior to the AGON AG271QX, which has a similar type of panel used in its construction (TN panel). Some backlight bleed is visible near the edges, and also each side near the center of the screen looks a bit darker than the center, but overall, it is still not bad when compared to other monitors we have tested, IPS one especially. 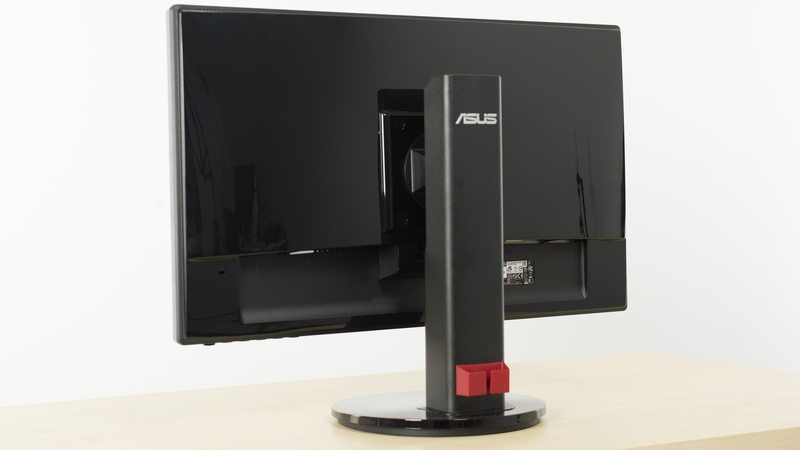 The ASUS VG248QE monitor has a great accuracy out of the box.  From all the picture mode available, the mode with the best accuracy was the 'Standard' picture mode, with the 'Normal' color temperature. If you find the 'Normal' color temperature too warm or too cold, you can change the color temperature to either 'Warm' or 'Cool'. 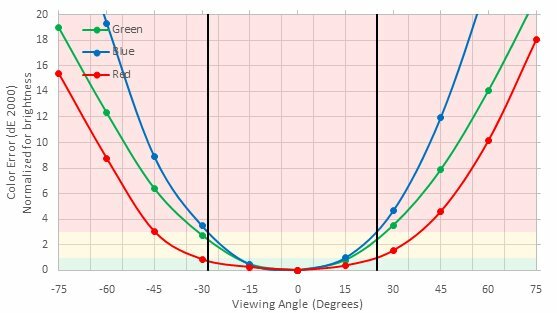 You will still have a reasonable accuracy if you stay on the 'Standard' picture mode, but note that all other picture modes, have a much worse accuracy. 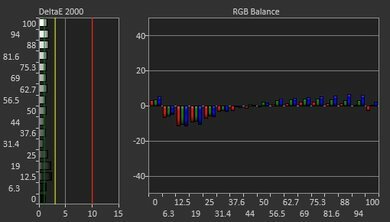 After calibration, which was done on the 'Standard' picture mode and the 'User' color temperature ('User' color temperature gives you the full control over the RGB values), the accuracy of this ASUS monitor is excellent. 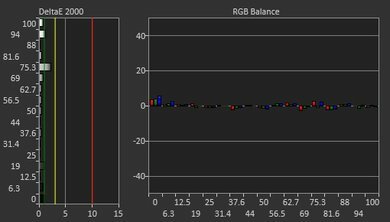 Both the white balance dE and the color dE are under 1, which is excellent as almost nobody could notice the inaccuracy at this level. 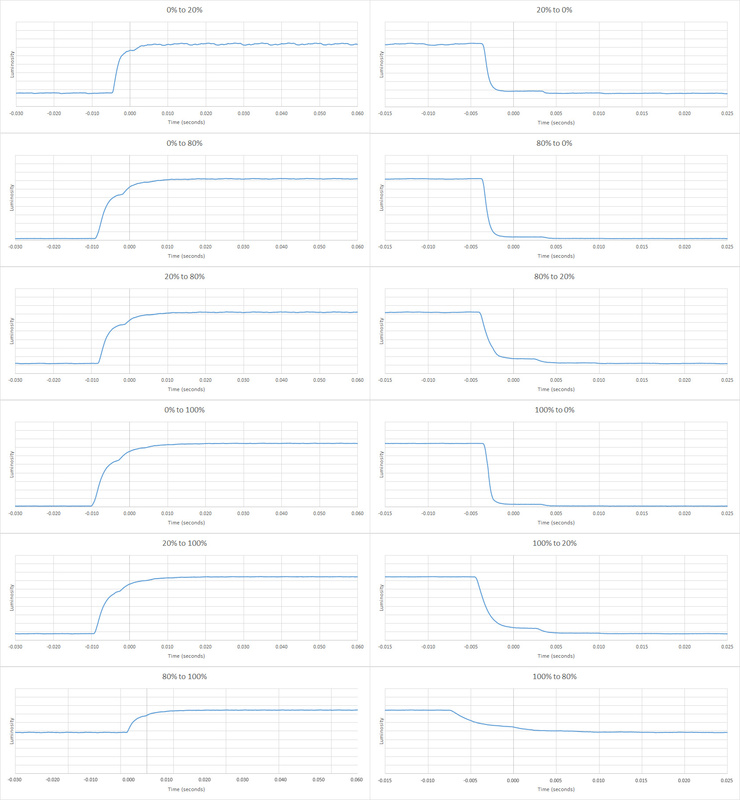 The color temperature is also very close to our 6500k target, which is great. Finally, the gamma is on our 2.2 target, even though the gamma curve slightly diverges from our target curve, but it's still pretty good and does not really cause any issues. 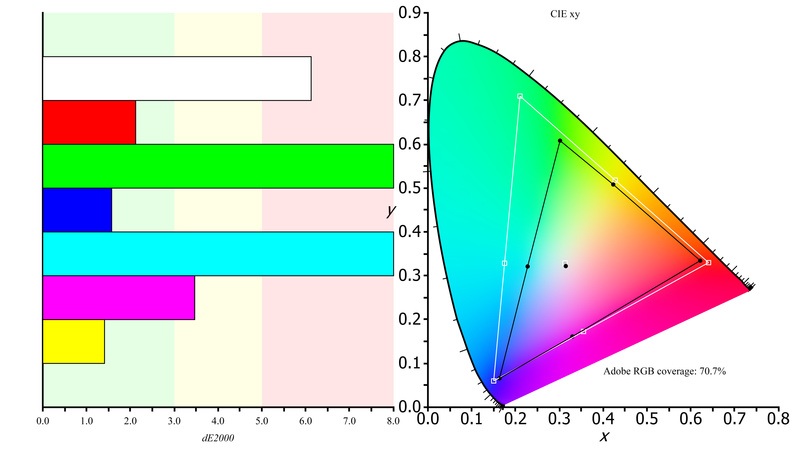 This Asus monitor does an excellent job of reproducing the s.RGB color gamut that is most commonly used. Its coverage will be sufficient for all but the most critical color work. However, those interested in the more professionally oriented Adobe RGB color space will be disappointed by its performance. 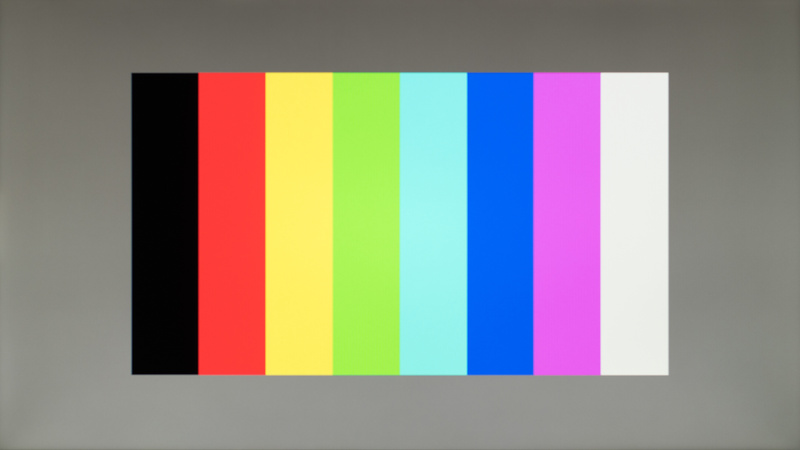 Good SDR color volume. The monitor covers the majority of the standard RGB color volume, but it has difficulty reproducing darker tone due to its low contrast ratio. 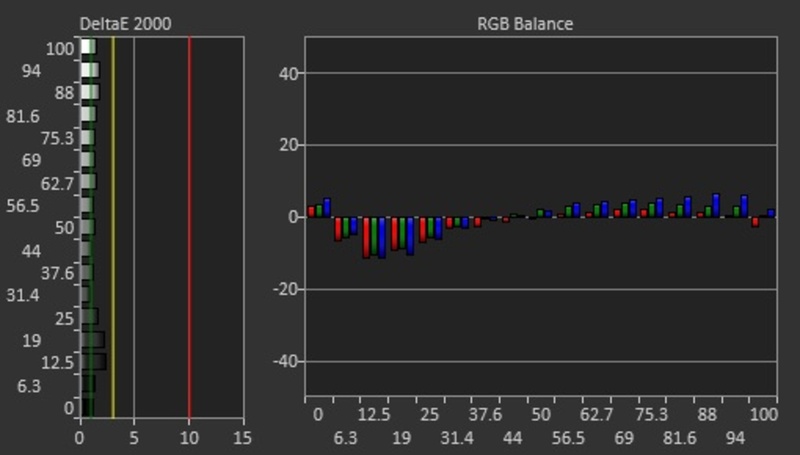 Its Adobe RGB coverage, however, is too low to serve as a benefit. 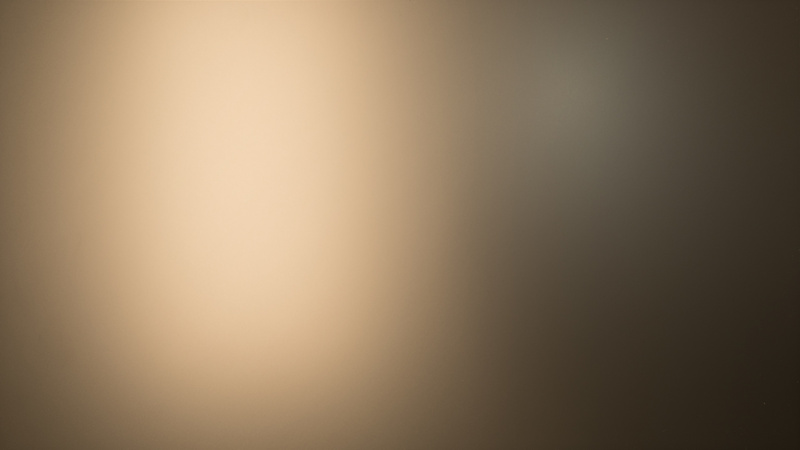 Perfect result for the ASUS VG248 on our image retention test as no sign of image retention is visible. 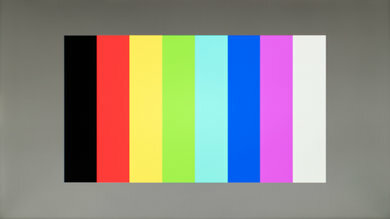 The Asus VG248QE is very good when displaying our gradient test image. 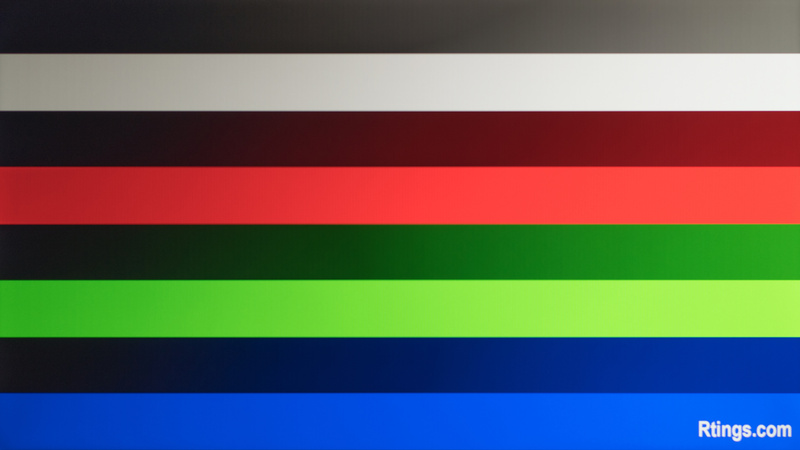 Besides the 8-bit banding resulting of the limitation of this monitor, some little color issues can be noticed in the darker grayscale and the green and blue, but this is not enough to cause significant banding while looking at regular content and overall is a very good result. The Asus VG248QE has no issues with color bleed. 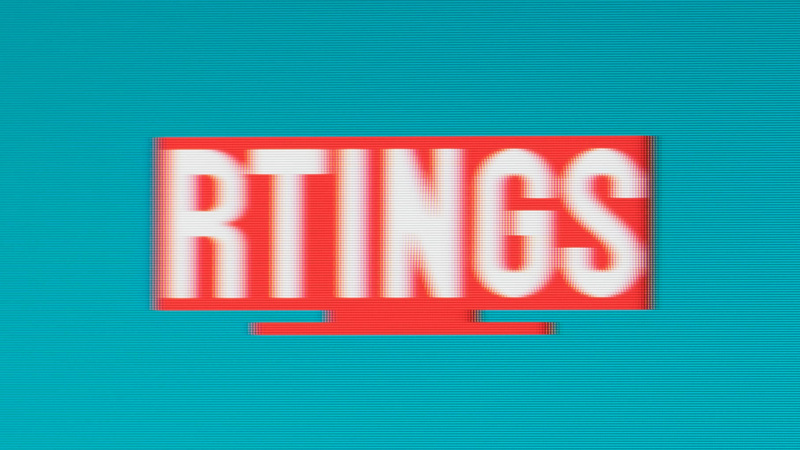 A minor amount appears when uniform vertical bands are shown on screen, but it should be completely imperceptible in actual use. 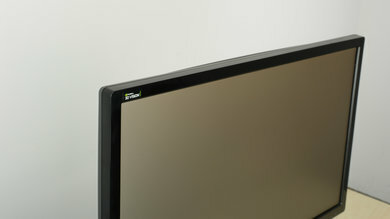 The reflection handling of this Asus VG248QE monitor is good. 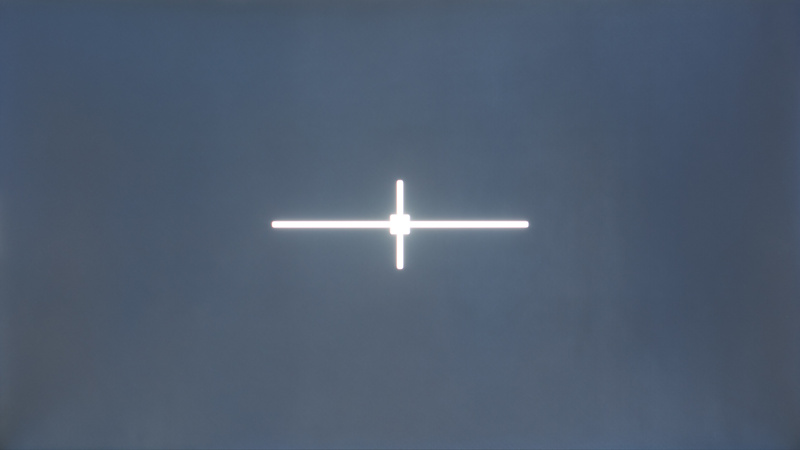 The light matte finish diffuses reflections across the screen, increasing the size of direct reflections but reducing their intensity. It should be fine for most rooms but may be an issue in a very bright room. Motion looks very good on the Asus VG248QE. It has an incredibly fast pixel response time, a high native refresh rate and an optional black frame insertion feature using NVIDIA Lightboost. However, it's not quite flicker-free and it lacks a variable refresh rate feature like FreeSync. 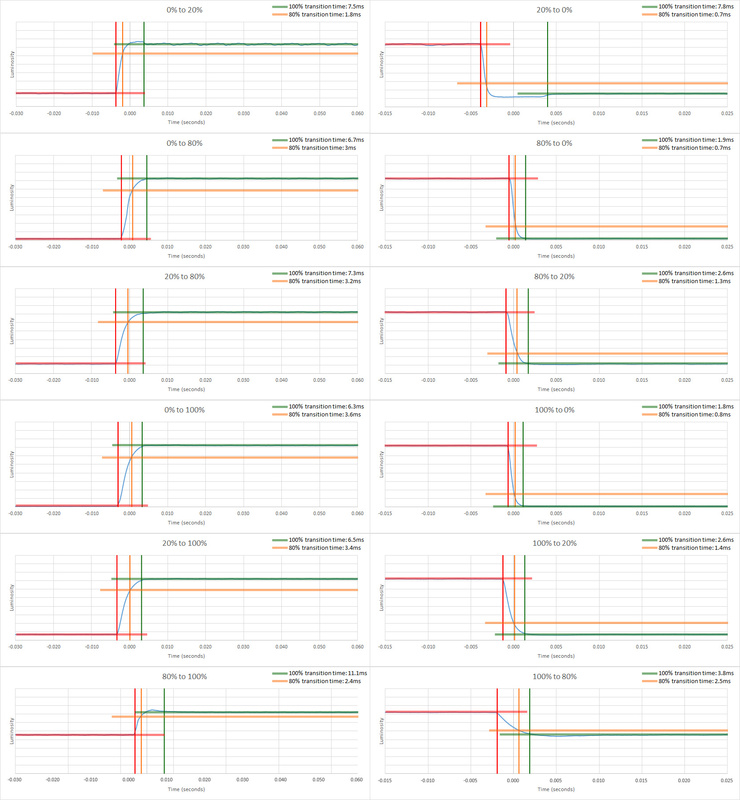 Outstanding response time, good enough for even the most intense motion sequences. When following objects in games or even scrolling web pages almost no trail is visible which is great. Almost all the blur in the photo is due to persistence (caused by moving past a static frame, rather than response time) which is excellent due to the lack of smearing. The 'Trace Free 60' option is the most balanced; the '80' option is also good but it adds more overshoot and its 80% transition is only 0.2 ms faster. The Asus VG248QE monitor uses PWM to dim the backlight, so it is not flicker-free but the frequency of the flicker is extremely high and will be unnoticeable by almost anyone, even those sensitive to flicker which is great. While the monitor does have a black frame insertion feature that adds flicker to clear up motion, it's only activated when the monitor is in 3D mode (using NVIDIA's 3D Lightboost technology). A third party software hack is needed to activate BFI for normal usage, however, the implementation is now quite mature and stable. BlurBusters.com has an excellent article on activating BFI on a Lightboost monitor. This flicker works well to reduce persistence blur, and should be enabled for fast-paced content for the clearest image (when playing video games). It does reduce the brightness of the display though. 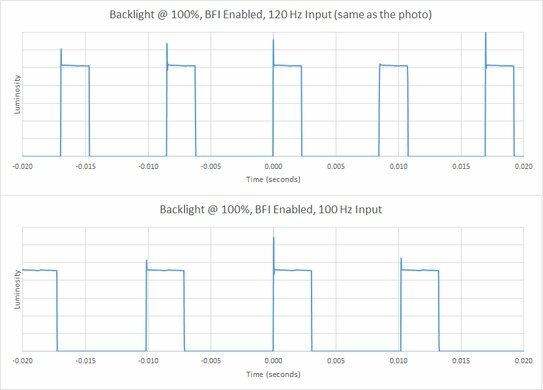 Update 12/19/2017: It was discovered that when BFI (LightBoost) is enabled the monitor's contrast ratio decreases significantly, from 744:1 to 319:1 at 120 Hz. This means that the picture will look significantly more washed out when BFI is enabled, but motion will look more clear. 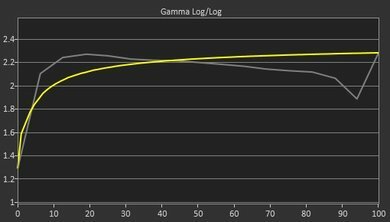 There are ways to minimize the washed out look, explained in detail in the BlurBusters.com LightBoost FAQ article. 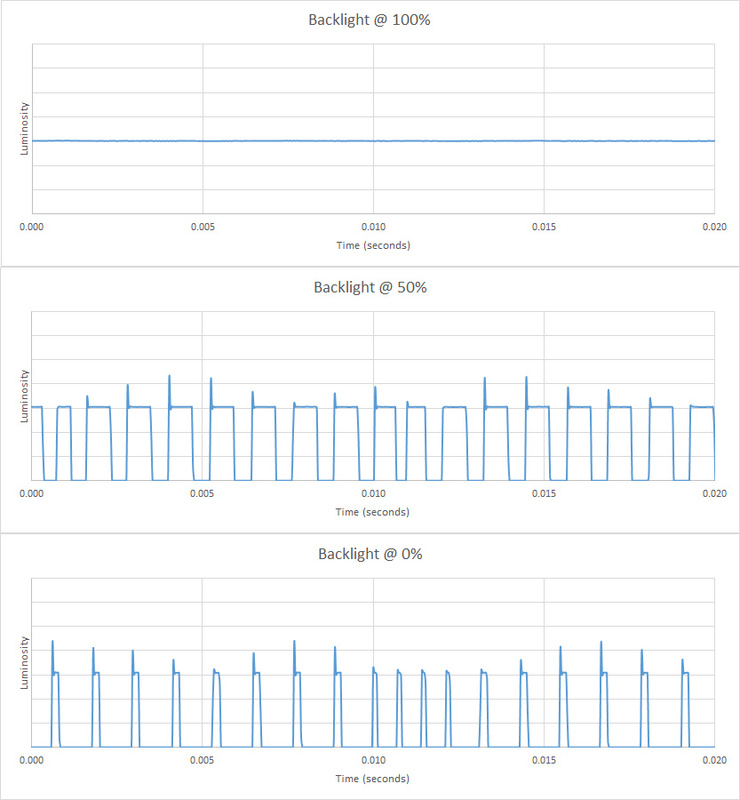 Also with BFI enabled the maximum brightness becomes 169 cd/m², much lower than the monitor's normal 362 cd/m² brightness, but this is as expected for BFI flicker. The Asus VG248QE has a native refresh rate of 144 Hz, which is great for all usages but especially gaming. Unfortunately it lacks a variable refresh rate implementation like FreeSync, so gamers will have to deal with VSync or tearing. When using the HDMI ports the maximum official resolution is 1080p @ 60 Hz, though we were able to reach 1080p @ 86 Hz by using a custom resolution with standard timings. The Asus VG248QE only has a very common 1080p resolution and 24" size, which are good enough for most usages but will leave some people wanting more. 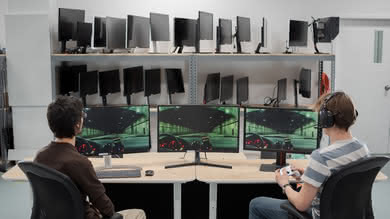 Fortunately, the monitor has extremely low input lag, which should please even the most competitive gamers. Incredibly low input lag, good enough for even the most competitive gamers and eSports players. 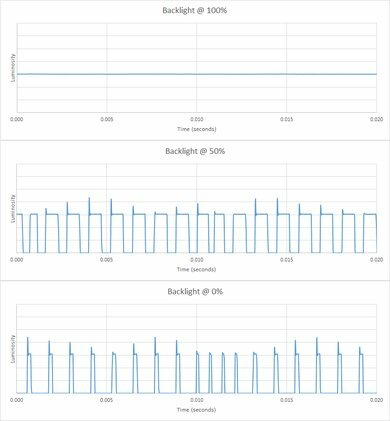 The input lag with BFI (Lightboost) enabled is a little higher but is still very low. While the monitor does support non-native resolutions, none of these resolutions are available at the native 144 Hz refresh rate. The Asus VG248QE monitor only has a very common 1080p resolution and 24" size. It should be good enough for most usages, but some people may find themselves wishing for more screen area and a higher resolution. If you're after a larger screen but enjoy the 1080p resolution then check out the Asus VG279Q. 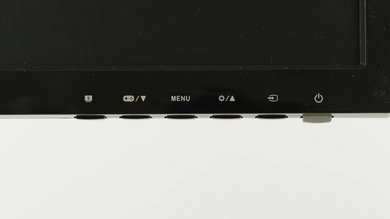 All of the inputs are on the back of the monitor. 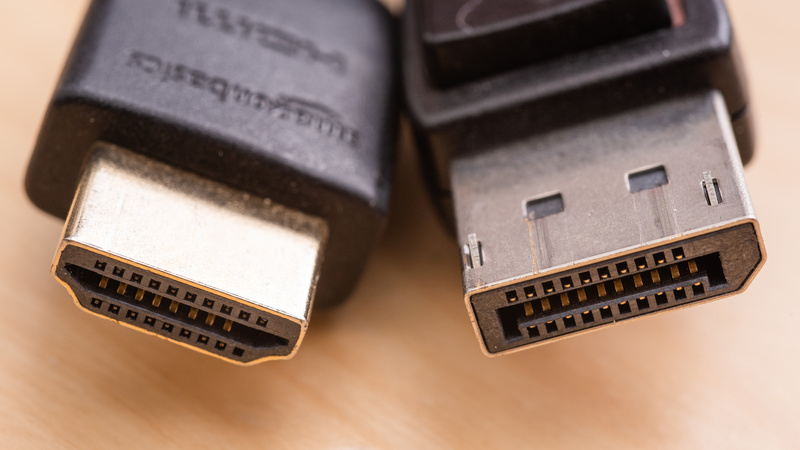 There is also an Analog Audio In 3.5mm port, which can be used to feed the headphone jack when not using audio input from DisplayPort or HDMI. 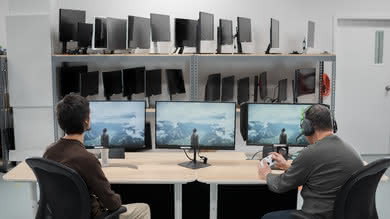 When using the HDMI ports, the maximum official resolution is 1080p @ 60 Hz; by using a custom resolution we were able to display 1080p @ 86 Hz using standard timings, indicating that the port has more bandwidth than HDMI 1.2. The Asus VG248QE has a well-organized on-screen display, integrated speakers, NVIDIA Lightboost technology, and two optional gaming features: a crosshair overlay on screen for games that don't have a crosshair, and a translucent countdown timer overlay in one of the screen corners. The Asus VG248QE is an older monitor from the days of NVIDIA's 3D Vision push, which since stagnated. 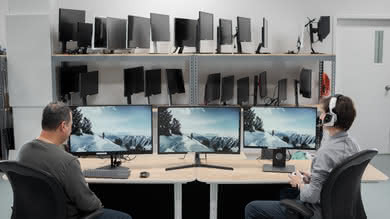 As such, the monitor has NVIDIA's Lightboost technology, which makes the backlight flicker in time with 3D shutter glasses when the monitor is in 3D mode, effectively 'boosting' the brightness of the screen when using shutter glasses. However, in order to synchronize the shutter glasses you need NVIDIA's 3D Vision kit, which is expensive. 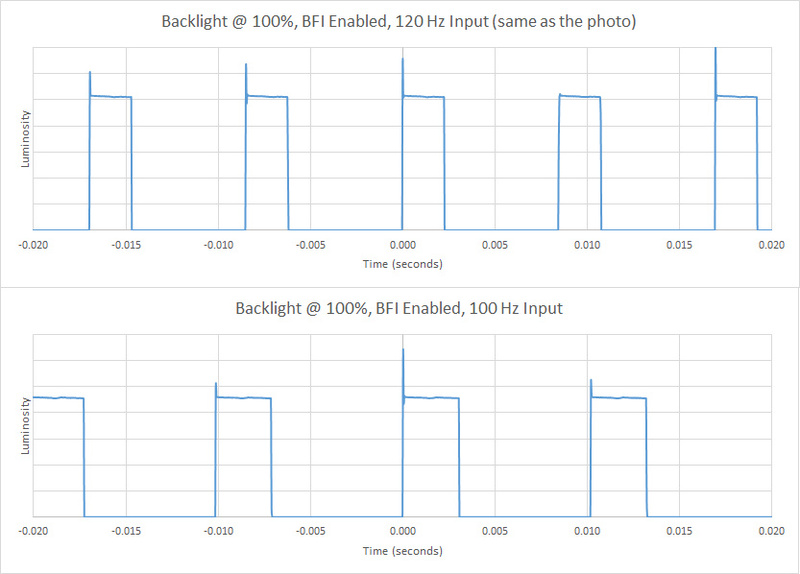 Lightboost can also be used as BFI during normal usage, as explained in the Image Flicker section. 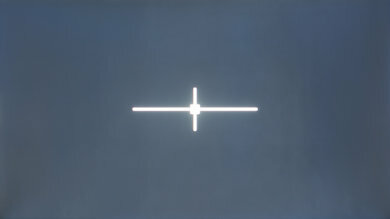 The monitor also has two special gaming features: 'Aimpoint', which is a crosshair overlay on the screen for games that don't have a crosshair; and a transluscent countdown timer which is placed in one of the corners of the screen. 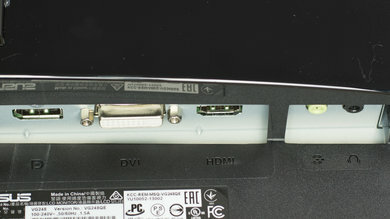 On the bottom right corner of the monitor are a series of downward facing buttons for controlling the OSD, and the light up power button. The way the buttons are mapped to OSD commands can be a little annoying; for example, the Menu button closes the Brightness menu but acts as the select button in the main menu, which makes learning the buttons by muscle memory more difficult. 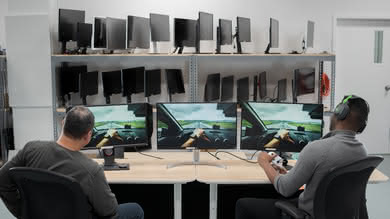 We tested the 24" (VG248QE) which is the only size of this monitor available. There are other variants within the Asus gaming range which differ in design, size, and refresh rate. 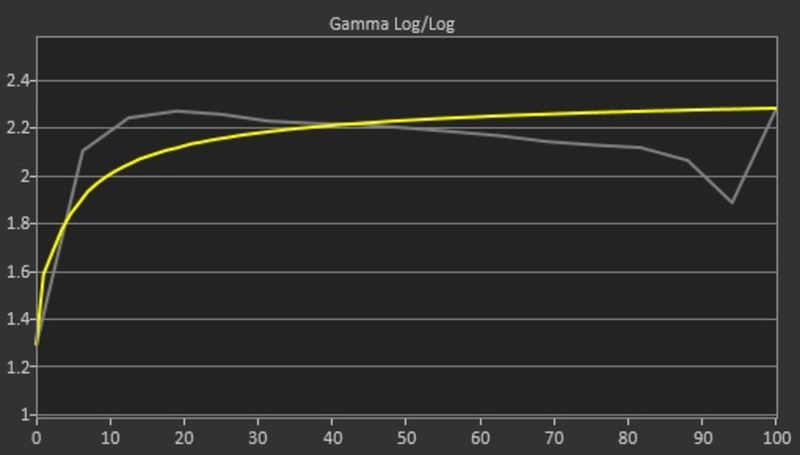 Only the VG248QE supports lightboost (BFI). 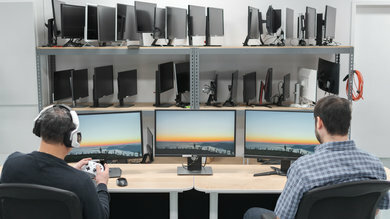 Left: BenQ XL2540. 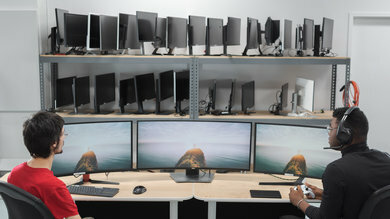 Middle: ASUS VG248QE. Right: ASUS PB277Q. 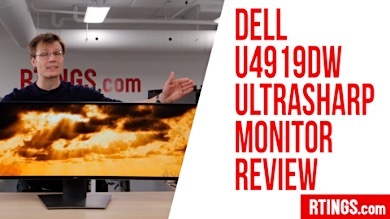 While the ASUS VG248QE is great for gaming due to the high refresh rate and little motion blur, there are newer monitors which may be a better pick depending on your usage. See our recommendations for the best gaming monitors under $200, the best 144Hz monitors, and the best monitors under $200. The ViewSonic XG2402 is better than the ASUS VG248QE. 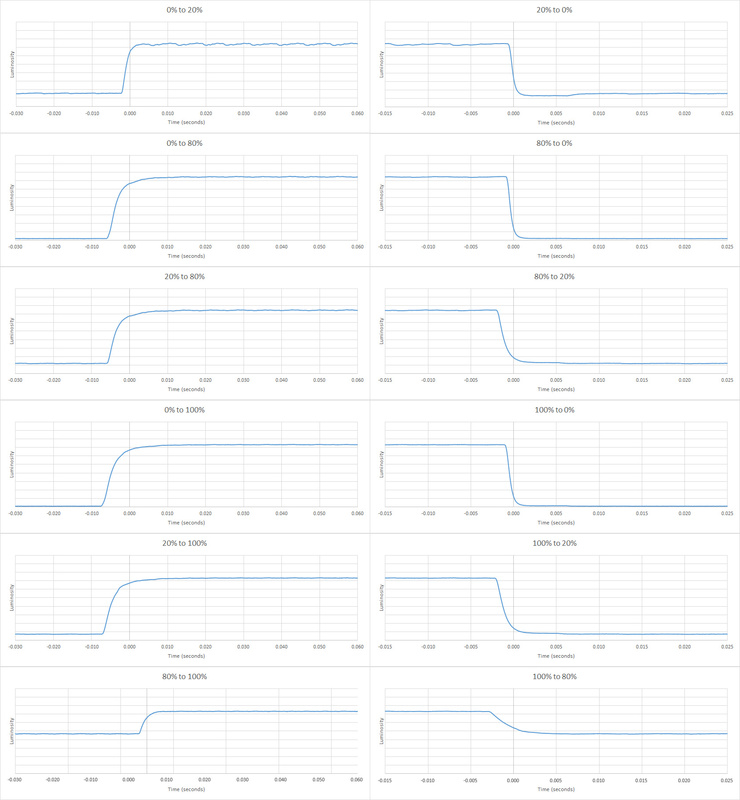 Overall, the two are very similar, with very similar performance under most uses. The XG2402 supports AMD FreeSync, making it a better choice for gaming. The XG2402 also has better color volume. The ASUS VG248QE is marginally better than the ASUS VG245H. The VG248QE has a higher refresh rate, which is great for gaming. 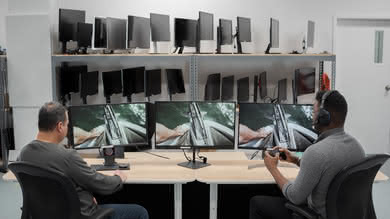 The VG245H has a slightly more versatile stand, and it supports FreeSync VRR. 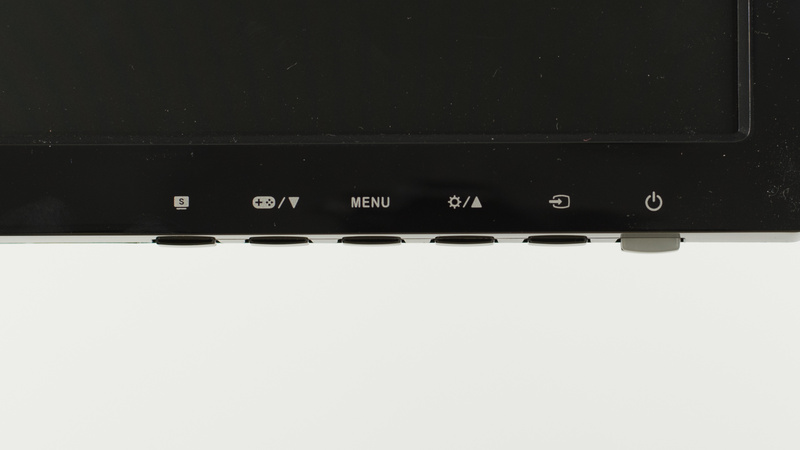 There is also a difference in ports; the VG245H has two HDMI 1.4 ports, whereas the VG248QE has 1 HDMI 1.4 port and one DisplayPort 1.2 port, which could be a factor depending on the devices you wish to connect. The ASUS VG248QE is significantly better than the Acer GN246HL. The ASUS VG248QE has better ergonomics allowing you to place it as you like, and also has lower input lag, and better response time so it is much better for gaming. 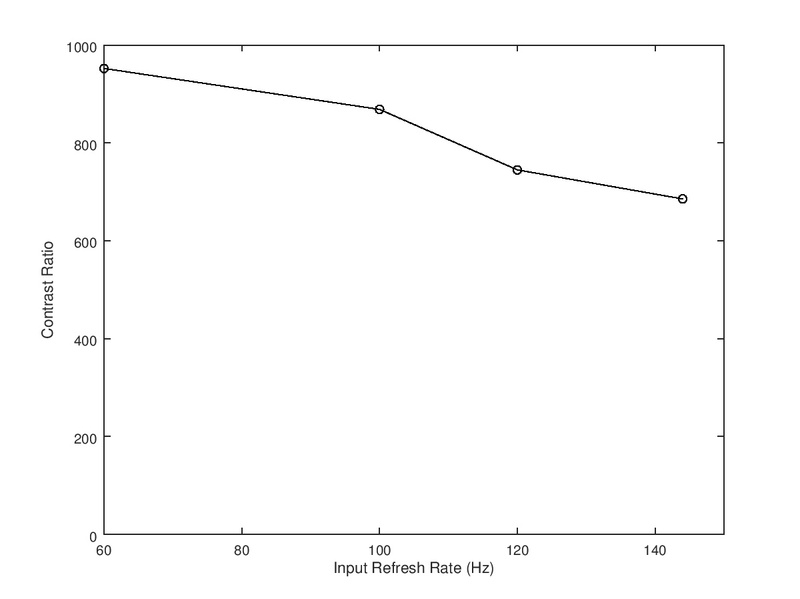 The faster response time creates a smaller image trail that is good for fast action gaming. The ASUS VG248QE is much better than the MSI Optix G27C, despite the smaller size, unless dark room viewing is important to you. 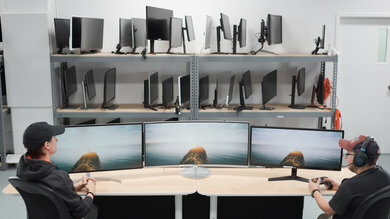 The Asus VG248QE has much better ergonomics, making it easier to place it in the ideal position. 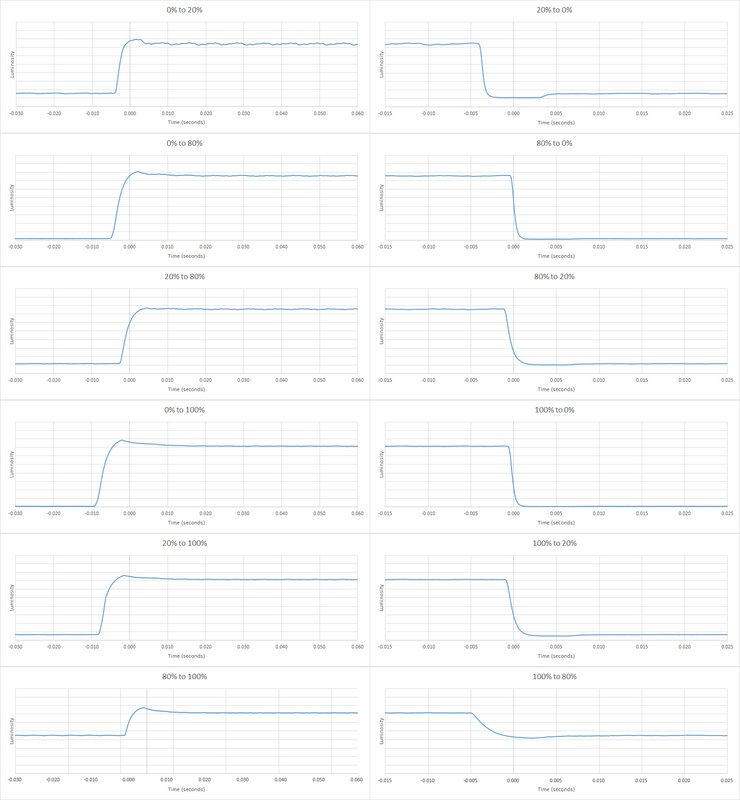 The ASUS has a TN panel, which has a nearly instantaneous response time, so motion is clear with no blur trail. The Optix G27C has a VA panel, which has much better dark room performance thanks to the better contrast ratio. The BenQ Zowie XL2540 is better than the ASUS VG248QE. 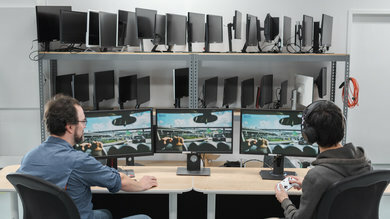 The Zowie XL2540 has a faster refresh rate, great for gaming, although not all computers will be able to benefit fully from this. The BenQ also supports FreeSync VRR. The Zowie also has a slightly better stand that has a wider range of motion for the adjustments. The ASUS VG279Q is much better than the ASUS VG248QE. The VG279Q has better ergonomics, and the image remains accurate when viewed at an angle. The VG279Q also has a larger screen, a faster refresh rate, and it supports FreeSync variable refresh rate technology. 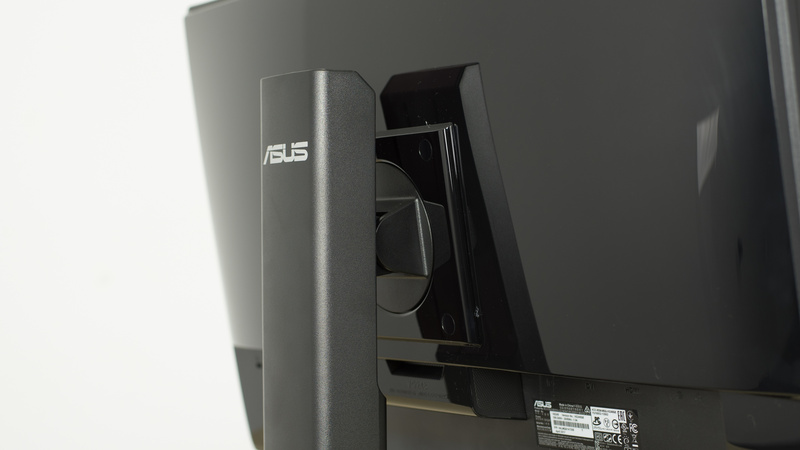 The ASUS PB277Q is a bit better than the ASUS VG248QE. 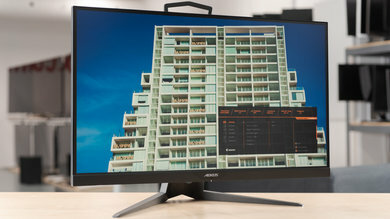 The PB277Q is a larger-sized monitor with a higher native resolution, so you can get more done at the same time or better enjoy your games with the larger screen. The PB277Q has a better vertical viewing angle, which is good if you are planning on wall mounting it above eye level. The ASUS VG248QE has a much higher native refresh rate, so motion in games looks smoother if your PC can run it. The ASUS VG248QE is better than the Acer G257HU. The VG248QE has a higher refresh rate that delivers a nearly instantaneous response time, and the backlight can introduce flicker to further reduce motion blur. 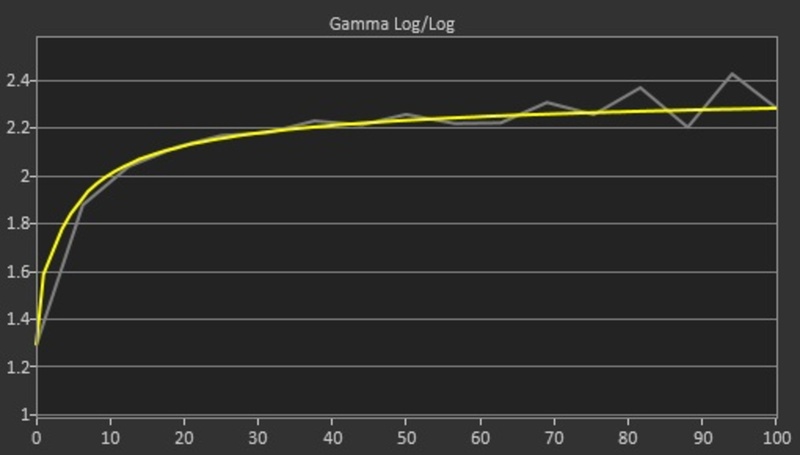 The VG248QE has lower input lag, great for gaming. The Acer G257HU has a higher native resolution, but at this size, this doesn't have a significant impact on the overall quality. The Asus VG248QE is a decent monitor overall. It does particularly well with gaming usages due to the excellent motion handling, and its good brightness means it won't look dim even in well-lit rooms. Unfortunately, its mediocre picture quality and very narrow viewing angles make it a bit less versatile. 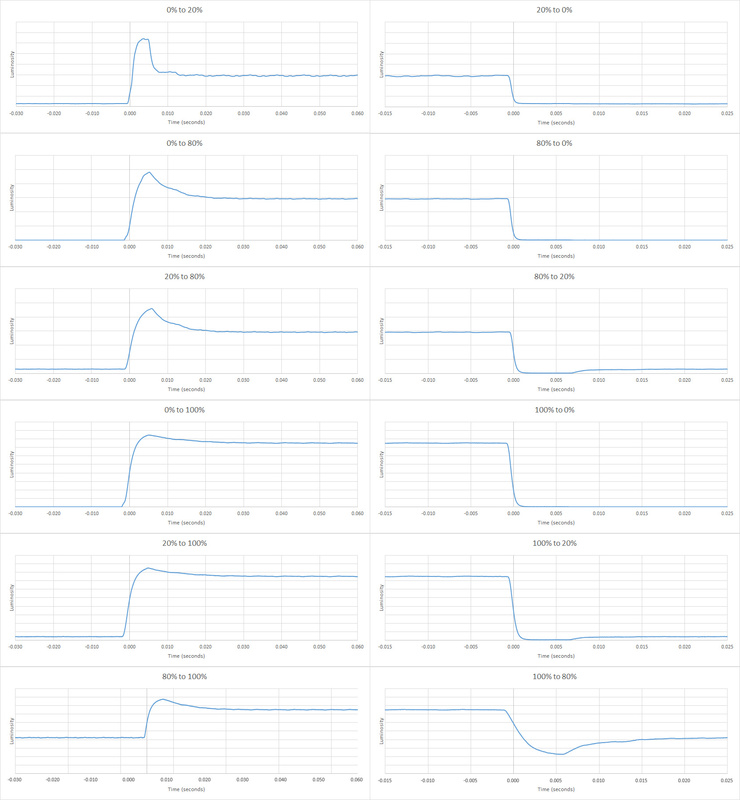 Average monitor for a productivity-oriented usage. 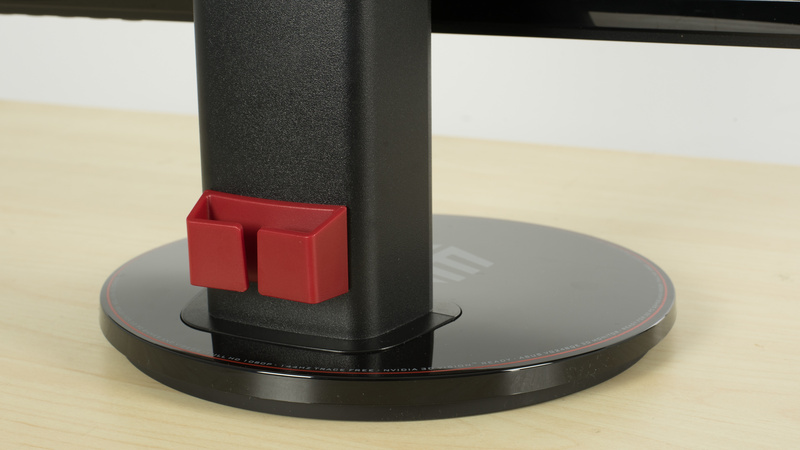 The stand provides many adjustments, making it easy to set up on almost any desk. 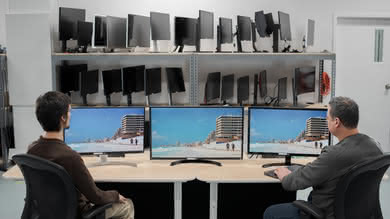 However, its limited size and resolution reduce the virtual working space available, and its narrow viewing angle makes rotating the monitor to share with co-workers a requirement. The Asus VG248QE is a great LED monitor for gaming. Its high refresh rate, backlight flicker feature and low input lag make for a very responsive and immersive experience. It lacks modern features like G-Sync, but most gamers will still be pleased by the excellent motion this monitor produces. Unfortunately, the picture quality is only mediocre and even the sides of the monitor look washed out when viewed from up close. Ordinary monitor for a multimedia usage. The Asus VG248QE's low contrast means that movies and videos won't look particularly good, and the lack of a 4k resolution and HDR related features further reduces its flexibility. The picture quality is mediocre and the low native contrast ratio results in a washed out image in a dark room. 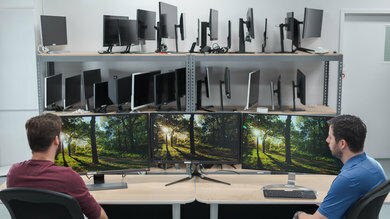 Average monitor for creating a variety of media. 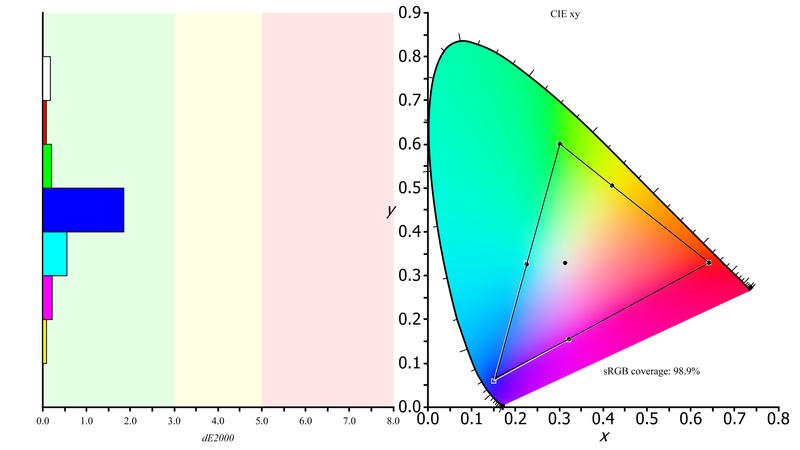 The Asus VG248QE comes decently color accurate out of the box, but it cannot reproduce wider color gamuts often used in modern media. 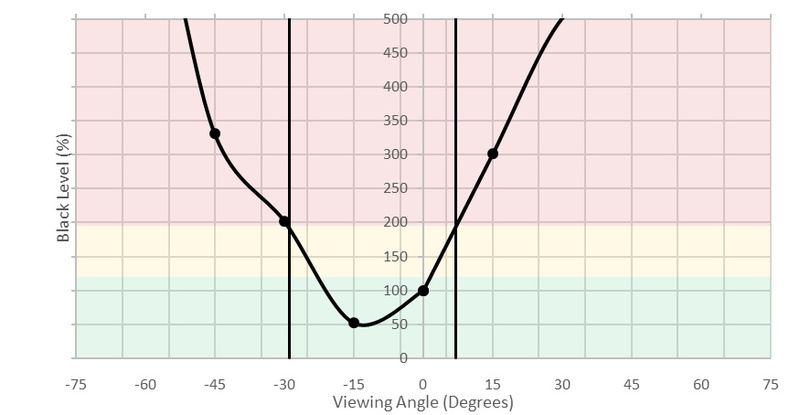 Its narrow viewing angle also causes some issues as even slight head movements can cause a shift in the picture that is undesirable for more critical work. The low contrast ratio results in a washed out image in a dark room and the image loses accuracy when viewed from an angle or from up close. The monitor does not support HDR. 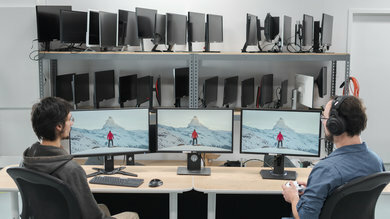 Unfortunately, this is reserved only for much more expensive gaming monitors such as the Samsung CHG70.